A quick look at today’s headlines would lead you to believe that Amazon is dominating every brick-and-mortar retailer that tries to expand into the e-commerce space. However, a more careful examination reveals that some retailers are surviving and even thriving in the face of this increased competition, outsmarting the e-commerce behemoth at its own game. Home Depot is one of them. While most consumers know Home Depot for its bright orange logo and its vast, warehouse-like stores, the world’s number-one home improvement retailer also deserves recognition for its progress in digital. This progress may not have been greeted with the same fanfare as Amazon’s advancement, but the figures speak for themselves: over the past six years, Home Depot’s digital sales increased by an impressive 762%. Over the same period, Amazon’s product sales grew by 490% in the same North American market. How did Home Depot achieve its success, and how did it manage to drive digital sales in a category that so many other players, including Amazon, have struggled to take online? Any explanation of Home Depot’s achievements must start with an understanding of the home improvement category. As anyone who has visited Home Depot knows, the number of products available is extensive. In total, the company carries over half a million individual items. Screws alone come in a bewildering 7,000 varieties. A large number of these products are not familiar, everyday things that consumers buy instinctively; many are complex and highly technical. For all but the most ardent of DIY professionals, the combination of innumerable choices and unfamiliarity creates a challenging buying process. Out of all the major retail sectors, home improvement is the one consumers find most difficult to shop. Shopping in stores makes this experience easier for consumers, as they can instantly access expert advice and can physically examine the products to assess if they are right for their needs. When shopping online, however, these benefits can be lost. Online also comes with the disadvantage that delivering products takes time – especially when they are bulky and hard to ship. Home improvement customers often want their products immediately, particularly when they are undertaking urgent repairs or need to complete a project within a short timeframe. These factors are the main reasons why the growth of online sales of DIY products has lagged many other retail sectors and why giants like Amazon have, to date, failed to make significant inroads to the category. While some experts see stores as a liability in an era when retail is becoming increasingly digital, Home Depot realized its 1,980 shops across the United States were, in fact, a considerable asset in its quest to grow online. It has leveraged these stores to remedy many of the problems with selling DIY online. The need for the immediate delivery of products that are ordered online is one such problem. For pure-play digital operators, the solution involves creating significant warehouse capacity and/or using expedited shipping options – the full cost of which is not usually passed on to the consumer. Neither option is economically feasible for many low-value, infrequently purchased home improvement products. Home Depot’s solution was to use its stores both as warehouses for online stock and as points of collection for online orders. Conceptually this is easy to grasp, but executing it required a complete re-engineering of systems to ensure inventory could be managed across all parts of the business. It also necessitated changes to store management and operations, including staffing adjustments, a reassessment of stock requirements, and giving more space over to storage for online orders. Today, 43% of Home Depot’s online orders are collected in store and over 90% are returned in store. Many of the company’s online transactions simply wouldn’t happen without a link to brick-and-mortar, which is a trait that digital rivals like Amazon will find hard to steal. For shoppers who never want to visit a physical store, some Home Depot locations now offer a 2- to 4-hour delivery window for online orders, including for bulky products like lumber or building materials. This is a service that non-specialist home improvement retailers cannot profitably replicate. The ability to pick up and return online orders in stores – as well as the ability to deliver these orders directly from stores – is a tangible part of an omnichannel strategy. However, brick-and-mortar stores also play a more invisible role in driving online sales. 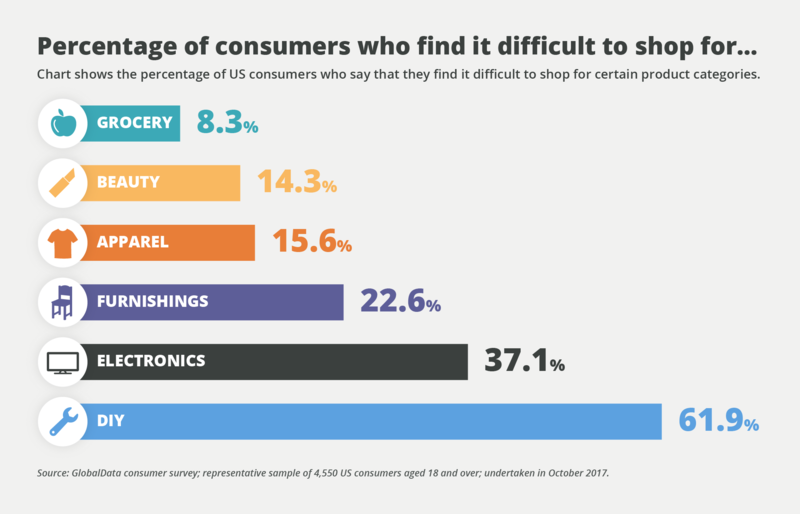 In some categories, such as appliances, visits to the store are often the first part of a journey to purchasing online. The store fulfills the need for customers to see products, seek advice, and undertake research before eventually buying online. Again, this is something online players find hard to replicate, especially given Home Depot’s deep expertise in the DIY space. Home Depot’s continuous online investments have allowed it to create a website and mobile platform that is easy to use and to navigate. For each product sold online, an extensive amount of knowledge is shared with the customer. This ranges from a basic description in bullet-point format to a more comprehensive product overview, and then a very detailed specification table. Features such as side-by-side product comparisons, interactive questions and answers, and reviews add a further layer of information. While such a comprehensive level of detail is needed to help guide shoppers through the company’s vast assortment of products, there is a risk that it could be overwhelming. Home Depot has avoided this by using a layout that integrates navigation tools such as tabs and accordion sections, so the user can quickly navigate to areas of interest without having their screen crowded with information. As well as informing, the website also inspires and educates consumers with video tutorials on all manner of DIY projects and ideas for home decoration and design. Understand the purchase process of consumers and the role the website plays in this, ensuring that product content is structured and optimized to address those needs. Ensure that product content provides enough accurate information and detail for consumers to make an informed choice; where categories are unfamiliar, create buying guides to help customers navigate the choices available. Showcase deep expertise about the category or sector in a way that makes it hard for more generalist retailers to replicate. Incorporate user-generated content, including ratings, reviews, and questions and answers, to reassure and assist other shoppers. Integrate systems and leverage big data to create a seamless customer experience both online and stores – and at all points of the purchase process. A focus on these areas has helped Home Depot maintain its leading position in home improvement, both on- and off-line. As the shadow of Amazon looms ever larger, other retailers should learn from Home Depot’s success. 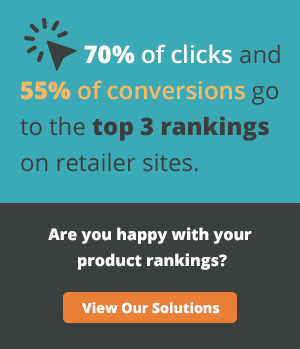 Are you struggling to dominate a difficult product category online? Does your product content lack the level of detail your customers need to make informed purchasing decisions – both online and in stores? OneSpace has 5+ years of experience helping the world’s largest retailers achieve e-commerce success by transforming their manufacturer-provided product data into the rich digital content today’s customers demand. See how they do it.